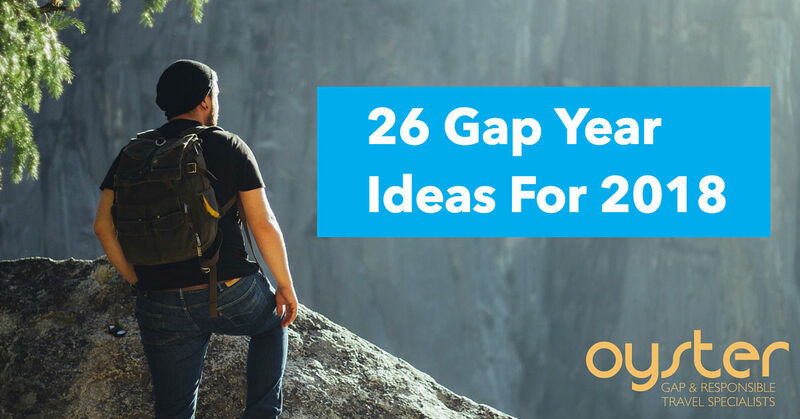 26 amazing gap year ideas - you won't know which one to pick! The travel industry sees trends such as interactive travel (advanced mobile technology keeps everyone connected), experiential travel (it’s all about creating the ultimate experience), and seamless travel planning (everything can be planned ahead with convenient booking) being the key travel trends of 2018. So it really is a great time to go travelling. With great technological and mobile advances, travelling around the world is more convenient than ever. And with the ‘travel experience’ being mightier than anything else this year, you’ll come home with plenty of stories to tell. Gap years are great for expanding your horizons, building your confidence and providing a chance of personal development – and of course, gap year travel adds an advantageous edge to your CV. So if you’re thinking of jetting off for 12 months to discover a new place, new people and a new you, take a look at these 26 gap year ideas that we think will change and enrich your life. The incredible Aysen region is the most unexplored region of Chile – so it’s perfect for an off the beaten path adventure. If you’re looking for a gap year with a difference, one where you can also give back to the world in a voluntary conversation project, consider Chile to be your gap year destination. If you apply for a programme which hosts accommodation with families, you will have the unique opportunity to get to know the Chilean way of life and even brush up on your Spanish. As well as the many diving opportunities offered by gap year programmes in Thailand, there are also many marine conservation projects you could get involved in too. These specialist programmes are suitable for marine biologists, scientists, environmentalists or anyone who loves nature and wants to make a difference – and they are designed to focus on conserving endangered coral reefs which have depleted over the years from overfishing and issues with pollution. 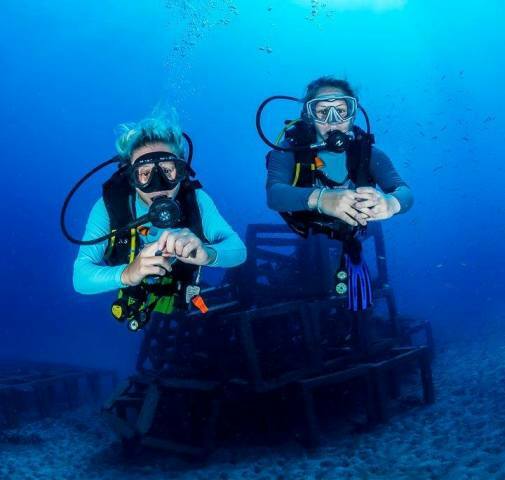 If you sign up for one of these programmes, expect to learn a whole new set of skills, including sample taking, data gathering, underwater observation, research, coral clean-up, re-planting and survey work. Have you ever dreamed of working with baby turtles? Costa Rica is one of the few places in the world where you will get the opportunity to fulfil your dream. These programmes are open to students as well as post-graduates and families. They are extremely affordable too; many will include accommodation and food and there will be plenty of free time for you to enjoy the gorgeous beaches of Costa Rica. Elephant conservation is one of the most rewarding volunteer jobs you could take abroad and Namibia is becoming a well-known gap year destination for wildlife conservation projects. Elephant conservation programmes often involve a lot of hands-on work including tracking and monitoring as well as some behind the scenes research. If you’re looking for a rewarding gap year experience, a journey to the Namib Desert could be a life changing experience. Melaka Zoo in Ayer Keroh offers gap year internships for anyone who loves to work with animals. If you want a few weeks / months exploring beautiful Malaysia, this is an experience not to be missed. The zoo is located close to Kuala Lumpur so you will get to experience Malaysia’s vibrant city life and during your working hours, you will learn so many new skills. You will get to take part in husbandry, building and maintenance, zoo enrichments and stimulating animals / improving their conditions, observation and research, and leading school / education tours around the zoo. There are so many teaching gap year programmes available so it can sometimes be hard to choose just one. But teaching in Laos is definitely worth highlighting as it’s one of the few places that you will get the chance to work with Buddhist monks in helping them improve their language skills. If you want a teaching experience that really puts you out of your comfort zone, this could be it. There are many paid teaching gap year programmes available in China, making them ideal for those who don’t have the finances to take a year off for travelling. These teaching programmes run for 12 months, include food and accommodation and a good salary. So if you are looking to earn money during your year out and you already have a degree plus a TEFL course certificate, this could be a fantastic opportunity to expand your mind, discover a totally different culture, learn a new language and meet some new friends for life. If you don’t have a TEFL qualification, you can get enrolled from as little as £89 and some TEFL courses can be completed online. 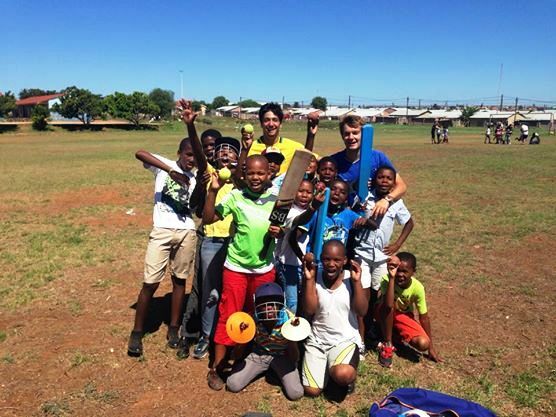 Work in some of South Africa’s poorest towns and neighbourhoods and take part in a meaningful programme that will let you offer your services to schools, nurseries and other childcare facilities that need the extra help. Not only will you be teaching English during school hours but you will also take part in extra-curricular activities such as games and sports. It takes a big heart to be successful in this gap year project and you will take a lot away from it too. If you’re football mad, don’t miss this opportunity to train some of the future football legends of Brazil. There are many different programmes available including short 4 week programmes, giving you a chance to continue your adventures elsewhere. Working as a football coach will help you hone your own skills and give you an amazing job advantage if you want to work with children in the future. Take part in a boxing coaching programme in Ghana and push your physical strength to the limit. In order to become a serious boxing coach, you need to have dedication, determination and you need to be physically fit. The job is demanding but extremely rewarding at the same time and you can hone your people skills by assisting as a coach for junior boxers in Africa. If you already have experience in working with children and you want to explore North America, cultural care opportunities can place you with families who will give you a taste of family life in the US and a great salary to help you earn some money during your time there. Some programmes even offer 1 month off at the end of your work contract so you can do some travelling. Designed specifically for students in the medical field, this unique gap year programme will help you gain invaluable experience in a very hands-on way. By shadowing and assisting medical nurses in and around the city of Brasov, Romania, you will get to take part in real life medical work in both hospitals and homes. Whether you’re looking for a gap year challenge or you’re a postgraduate looking to put your skills into practice, this amazing internship will look fantastic on your CV and give you a great kick start to your career in care or medicine. A great place to gain veterinary work experience is South Africa due to the interesting mix of animals; one day you could be shadowing a vet in big game reserves, the next you could be called out to examine livestock on farms, and the next you could be dealing with a domestic animal emergency. Your experience will be incredibly varied and you will work with every type of animal from rhinos and lions to small cats and house pets. Veterinary internships are suitable for students in the veterinary field as well as qualified vets and veterinary nurses looking to expand their knowledge. If you love the idea of being outdoors, a gap year trip to the Australian outback could be the perfect post-university option. 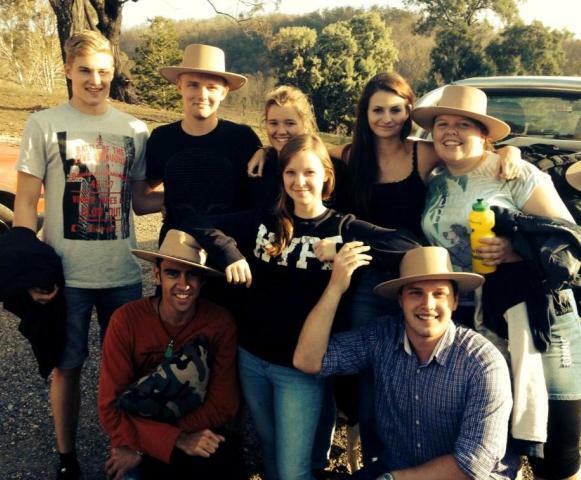 Get a real taste of what life would be like on an Aussie ranch; you will get the opportunity to work with cattle and learn to do every day farm maintenance, and no doubt the lovely weather will lend itself to plenty of delicious barbeques. If you are a childcare graduate, an au pair gap year could be a fantastic way to boost your CV. Cruiser ship au pair / nanny work often runs anywhere between 3 months to 12 months and you will have the opportunity to travel around the world whilst earning cash. Famous cruise lines such as Royal Caribbean, Norwegian Cruise and Carnival Cruise often need young, energetic people with childcare qualifications to help run their specialist Kids Clubs and Children’s Programmes. You will be in charge of organising fun activities and sports sessions to keep the ship’s youngest members entertained at all times. Discover the great Canadian outdoors whilst working in some of the best hotels and resorts in The Rockies. Learn to improve your skills within the hospitality industry, meet new people and discover a new place. Whether you apply to work at a family run / boutique hotel or an international chain, the experience will look fantastic on your CV. Not only is Thailand a great place to meet like-minded people of the same age, but it has some of the most incredible diving spots in the world. Spend a few months kicking back on one of the beautiful islands, eating fresh local produce, drinking Thai beer and enjoying the most blissful sunsets. During your time there, you can earn your diving qualifications and come back with something to add to your CV. Before you can BASE jump, you need to be experienced in skydiving (you need at least 200 skydives under your belt). So if you’re already a qualified adrenaline junkie, a BASE jumping course in Australia could make the ideal gap year activity. Travel around Oz whilst learning to turn your favourite hobby into something seriously challenging. There’s nowhere else to be but the slopes of Canada if you’re a winter sports enthusiast. Canada is renowned for hosting some of the most exciting, most popular and well serviced ski resorts in the world. Whistler is arguably the best ski resort in the world – there’s something for every type of skier. 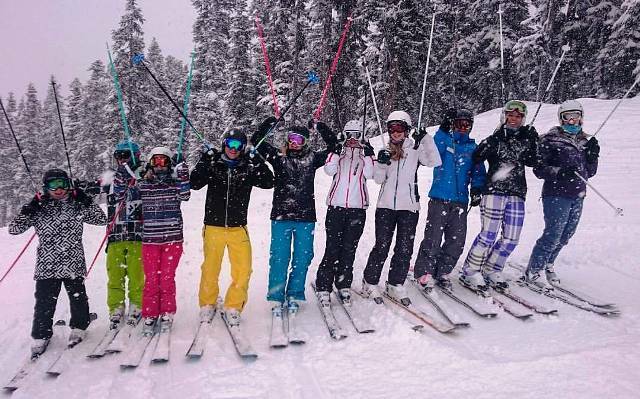 Gain your ski instructor qualifications and work at Whistler Ski School on your gap year. Spend five months making friends with like-minded extreme sports enthusiasts. If the main focus of your gap year is to see new places and meet new people, take a tour of Europe and get to know some of the most beautiful cities in the world. Whilst volunteering or employment based travel sets you up in one place for 12 months, this is a fantastic opportunity to see as many places as possible. It’s a fantastic way to make friends and you’ll get the best of city life, beach, bars and nightclubs and everything else in between. Round the world trips can often be costly and if you choose a fixed programme, you may not get the chance to stop and work or volunteer with local communities. But you will get to travel and see so many different places with the time that you have; a soul searching journey if there ever was one and imagine the people you would get to meet along the way. If you don’t know where to start with your ‘round the world trip’, many gap year organisers have sample itineraries to help you decide. A Little Adrift – How Much Does It Cost To Travel The World For A Year? Australia is a vast and exciting country, filled with incredible landscapes, extreme nature and a whole bunch of friendly people wherever you go. Each region has its own unique charm and way of life and with the freedom of the campervan, you will get a flavour of life in Queensland and New South Wales to Victoria and Western Australia to the magic of the outback. With so many gap year students visiting Australia each year, work will be easy to find too so you can fund further travel. If you’re after a culinary experience, South East Asia will add spice and excitement to your travels. Take a street food tour across Thailand, Vietnam, Cambodia, Laos and China. It’s no secret that the best food can be found on the streets in S.E.A and you won’t have to pay extortionate prices to taste gastronomical delights. Travel by tuk tuk and stay at hostels to keep costs down. If you’re after beautiful beaches combined with that 18 to 35s party atmosphere, spend a few months island hopping across the numerous paradise islands of Thailand. Travel along the Western side and discover Koh Phi Phi and Krabi, travel along the East and see Koh Samui, Koh Tao and Koh Pha Ngan or head South to Khao Sok National Park. Imagine snow-capped mountains, glistening glaciers, spectacular sunsets and the most mind-blowing views. If you don’t mind pushing yourself physically and emotionally for a 23 night trek starting in Nepal taking you all the way to the “Roof of the World” in Tibet, these views will serve as your backdrop from day to night. A great adventure and an even greater physical challenge – something you will remember forever. If you want to set yourself a physical challenge whilst raising money for a charity close to your heart, put your body and mind to the test and trek China’s Great Wall. Covering more than 13,000 miles in length, it would take you an average walker approximately 12 months to walk the entire distance. 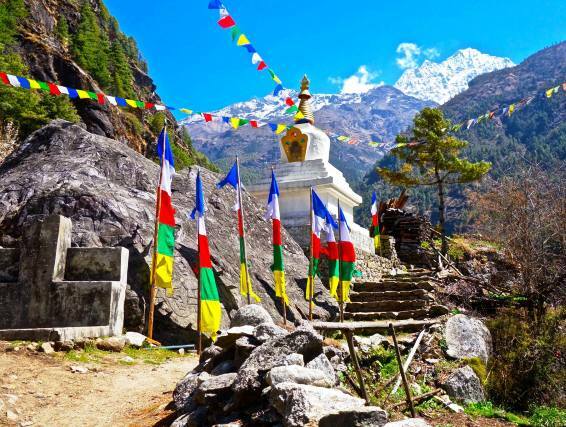 But there are many gap year operators which organise 10 to 18 day treks so you cover a decent distance and get to see some amazing sights along the way. Tutorful have a fantastic blog on – The Importance of Wildlife Conservation: Projects and Conversations Changing the World – well worth a read! Love this. I’ve been thinking to do a gap year myself. Lots of inspiration!